There are two types of canine vestibular disease – central vestibular disease and peripheral vestibular disease. Most cases of vestibular disease are peripheral and there is no known cause (idiopathic vestibular syndrome). 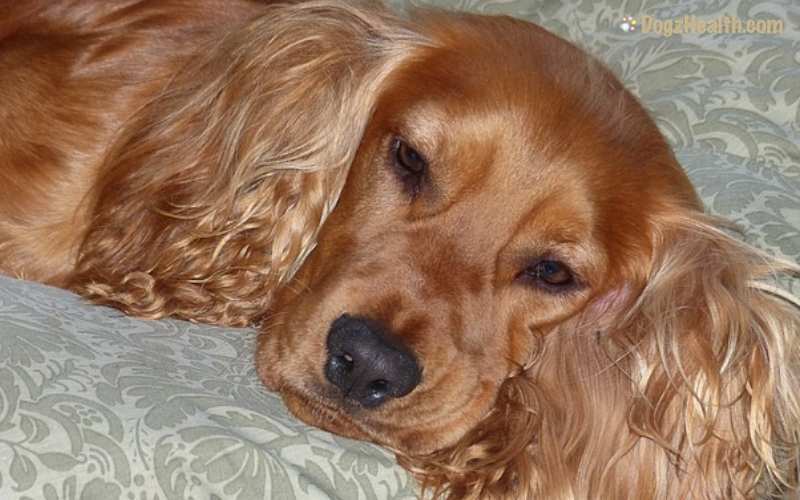 This page looks at the symptoms and treatment of vestibular disease in dogs. The vestibular system or apparatus is an organ of balance. It senses the position of the head and body in space, in relation to gravity and movement. The purpose of the vestibular system is to synchronize eye movements and maintain the dog’s posture, balance, and coordination. Simply put, the system tells the dog’s brain if the dog is standing, sitting down or lying down, falling, etc. It keeps the body in balance and prevents the dog from falling over. The vestibular system consists of balance sensors located deep inside the inner ear, and a specialized control center at the back of the brain. The balance sensors detect the position of the head in space while the dog is standing or when he is moving. The information on the position of the head is converted into electrical signals, which are sent to the brain. The balance control center at the back of the brain processes the vestibular information. It then sends out messages to the rest of the body to coordinate the body so that the dog is kept upright. Canine vestibular disease refers to any abnormality of the dog’s vestibular system. Vestibular disease in dogs affects the ability of the dog’s brain to recognize abnormal body positions. In addition, the disease affects the brain’s ability to correct these abnormalities. There are two forms of canine vestibular disease. They are central vestibular disease and peripheral vestibular disease. Central vestibular disease occurs as a result of an abnormality within the brain. Peripheral vestibular disease occurs due to inner ear abnormalities. Most cases of vestibular disease in dogs are peripheral. If a dog has a problem in his vestibular system, he cannot properly perceive his orientation. That is to say, he will not know which way is up. He may not know if he is standing up straight or slanted, and he will feel very dizzy. 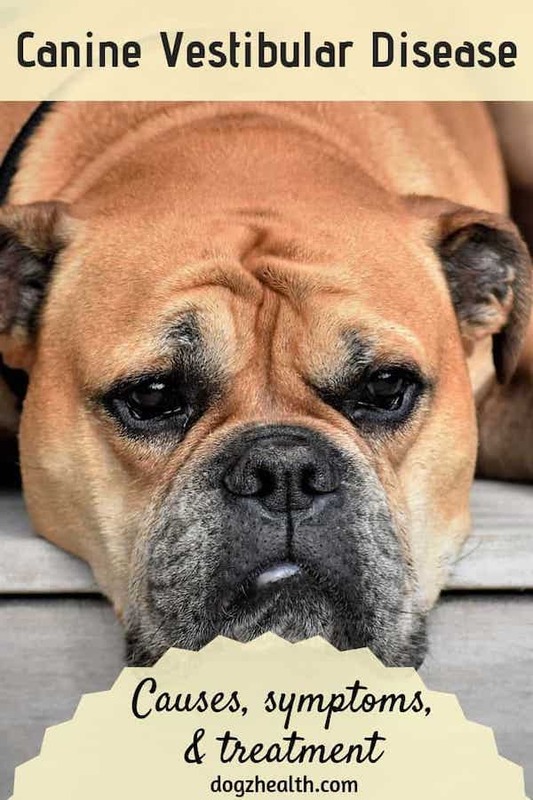 There are certain different symptoms that differentiate peripheral vestibular disease from central vestibular disease in dogs. Firstly, in peripheral vestibular disease, the abnormal eye movements are limited to rotary or horizontal nystagmus, not vertical. In addition, dogs with peripheral vestibular disease usually do not have body weakness and there are no mental changes. But they may have facial paralysis so that one side of the face seems to be drooping. Dogs with central vestibular disease will have horizontal, rotary and vertical nystagmus (eye movement). They tend to roll, have poor foot placement with a lot of staggering or stumbling. They also have weakened jaw, and possible head tremor. Finally, they may suffer from depression. For both peripheral and central vestibular disease, the onset is very sudden and unexpected. You may suddenly find your dog tilting his head. He cannot walk straight. Instead, he staggers and stumbles. If you look at his eyes carefully, you can see erratic eye movements. Because the dog feels very dizzy, he will likely vomit and refuse to eat. You can imagine that some such symptoms can be serious and incapacitating. The signs of head tilt, circling and staggering may lead many dog parents to think that the dog has had a stroke. But strokes are quite rare in dogs. Signs of vestibular disease usually peak in 24 hours. Most dogs improve spontaneously within 2 weeks, although some dogs may have a slight but permanent head tilt. Most cases of vestibular disease are the result of a condition known as “idiopathic vestibular syndrome”. That means it is a disease with unknown cause. Sometimes this condition is also referred to as “geriatric vestibular syndrome”, or “old dog vestibular syndrome”. Why? Because this syndrome usually affects middle-aged to older dogs (mean age 12.5 years). A vet usually bases his initial diagnosis on the specific signs. To determine if the signs are caused by something else (e.g. a brain tumor), the vet will suggest further tests (such as blood tests, x-rays, CT or MR). If the tests rule out a brain tumor or other abnormality, the vet will diagnose the dog as having peripheral vestibular disease. Initial treatment of both peripheral and central vestibular disease is to reduce the symptoms so that the dog can function normally. For example, the vet will prescribe anti-vertigo and anti-nausea medications for vomiting and dizziness. Sometimes, the vet may prescribe antibiotics if he suspects the vestibular symptoms are caused by an infection. Dogs suffering from peripheral vestibular disease usually can recover in about two weeks. After recovery, some dogs may experience a slight but permanent head tilt. On the other hand, a dog suffering from central peripheral disease caused by a brain tumor will of course need further treatment. This may may be surgery, radiation therapy and/or chemotherapy. Dogs suffering from central vestibular disease may not recover totally. As your dog will feel very dizzy and unstable in the first few days, make sure that your dog is kept away from the stairs to prevent him from falling. Because of the dizziness, your dog may not want to eat, especially dry kibbles, as it is difficult for him to use his mouth to chew. Try to cook some soft food for your dog, or at least soak the dry kibbles in warm water to make them softer and easier to eat. Make sure that your dog drinks enough water to stay hydrated, especially if he vomits a lot.